Hey folks, the incredible AWARD-WINNING author Kari Luna just tagged me in her blog post. I know, I know, you hate this sort of crap. But this one's better. Swear. First off, you need to read Kari's post, because I so am already in line to buy her next book. Doesn't it sound cool?And I love the idea of a mood board. Like Pinterest, but old-school, right? So, in the spirit of moving the conversation forward (which is why I really do love this particular tag game. It's about sharing the love), let's talk about process. My process. Because it's my turn. Well, I think I outed myself here, and here, but I've made progress since then! I'm writing the sequel to THE MOMENT BEFORE. Only it's four years later. My "young adults" are "new adults" and life has flung Brady and Connor into another situation where they'll need to come together against adversity. Oh, and there's one other thing. Connor has a live-in girlfriend named Ella. It's complicated! 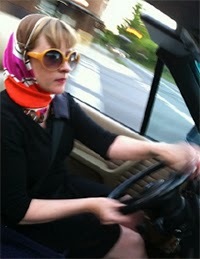 Did I tell you this chain-blog post idea was cooler than most???? I love smart questions like this. Whereas MOMENT is a love story that doesn't revolve around romance, my next book will explore the depths of "happily ever after" sorts of relationships and look beyond boy-meets-girl-loses-girl-wins-girl-back. I'm so amazed when I look at the twenty-somethings around me. Maybe it's because I live in Portland, but I see young people being more creative, taking more risks, and throwing themselves into the deep - whether it's new work/parenting combinations, creating families of "intention," co-housing with others in order to stretch resources. I was inspired by an article I read in the paper. This couple decided to start a farm in a valley 60 miles east of Portland. The article shed light on a new "small farm" movement - and I've seen evidence of this at local farmers' markets. I totally stole the idea and am pouring Brady and Connor and Ella into a version of it. I write books that I'd want to read. Does that sound stuck up? I hope not. The acts of reading and writing are not that separate for me. It's an immersive process - a journey to the heart of humanity. I'm always eager to spend time in places that illuminate connection. When an author whispers in my ear, invites me to dinner, puts a hand on mine and says, "I thought I was the only one who feels like this," well that's the intimacy I try and pass forward. I start with place. Then voice. Then situation. I don't outline until I'm sure of the voice and the type of conundrum my hero will face. Then, I write on sticky notes. Put them on a board. Think about the job that each chapter has, and loosely explore within that framework. Like Kari, I'm a morning writer. My head gets too gunked up after the noon whistle. Also, if I dally too long in the monkey world when I get up, it's really hard to let it all go and get back to the dream. It's better to quit while still inspired. Take the dog for a walk or hike the hills behind my house. Thanks, Kari, for tagging me! Here are a couple of terrific new reads you all need to know about. 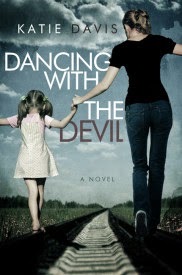 Another Diversion author, Katie Davis, debuted her YA novel DANCING WITH THE DEVIL this week. It is a powerful contemporary YA with a terrific voice. 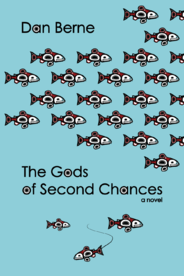 And another terrific author, a Portland local, Dan Berne, has his debut, THE GODS OF SECOND CHANCES, out this spring with an up-and-coming publisher, Forest Avenue Press. I read this book in a couple of sittings. It was a terrific read, and, like Katie's book, dealt with serious matter in a lovely voice-driven way. I love the idea of placing authors and books who haven't met before next to each other. Kindred! Writers out there, think of two books you've read recently that might make an odd couple. I never get tired of reading about writing. So interesting to think about voice being second up in the process, because for me it's usually one of the final pieces of the puzzle. I usually have to try out several voices before I land on the one that seems to work.